Myanmar, a predominantly Buddhist country, is home to several ethnic groups. Chief among these are Burman (68%), Shan (9%), Karen (7%), and Rakhine (4%). In a diverse and multi-ethnic society, that is largely mired in poverty, the tension between the various ethnic groups, especially over their way of life and access to resources, often surfaces in violent clashes. The Rohingya are a predominantly Muslim ethnic minority in Rakhine state of Myanmar. The Government of Myanmar does not recognize them as Myanmese citizens and as such views the estimated 1.1 million Rohingya as illegal immigrants from neighbouring Bangladesh. Myanmar says it is ready to grant them citizenship if they identify themselves as Bengalis (i.e., Bengali-speaking migrants from Bangladesh), something that the Rohingya firmly refuse to accept. In this context, it would be apt to share one important fact: after the British annexed the Rakhine region in 1824–26, thousands of people (from what is today’s Bangladesh and some parts of northeast India) were encouraged to migrate to today’s Myanmar to work in agricultural fields. Myanmar has maintained that the Rohingya are illegal migrants from India and Bangladesh and have refused to recognize them as one of the country’s 135 ethnic groups. The Myanmese government has defended this approach, arguing that past secessionist movements indicate that the Rohingya never identified as part of the country (more on this later). The Rohingya have accused the majority Buddhist community of discrimination and using violence to subdue them. As they are stateless, it is hard to quantify the exact population of Rohingya. However, because of the unending discrimination, thousands of Rohingya from Myanmar and Bangladesh flee every year in a desperate attempt to reach mainly Muslim-majority countries, Malaysia and Indonesia (even in these countries, the Rohingyas are recognised as refugees and not granted citizenship). Buddhists and Rohingya Muslims have been at loggerheads for several decades. Episodes of intense violence have been followed by periods of uneasy calm. About six years back, violent clashes between the Buddhists and Rohingya Muslims erupted. Tens of people were killed and triggered a flood of Rohingya migrants, especially into neighbouring Bangladesh. In October 2017, armed militants, especially from the Arakan Rohingya Salvation Army (ARSA), a Rohingya terrorist group, killed several police and military personnel in several coordinated attacks on security camps and check-posts. They also killed tens of people belonging to Buddhist and Hindu communities. In retaliation, the country’s police and security forces launched counter-terrorism operations against Rohingya Muslim militant groups. The Rohingya Muslims have accused the country’s security forces of extra-judicial killings, abuse of women, and destruction of property. Since then, about seven lakh Rohingya have fled Myanmar to escape the violence and persecution. In a recently released report by Amnesty International, the leading human rights group accused Rohingya terrorists of killing Hindu men and children while forcing women to convert to Islam and sexually abusing them. Myanmar has consistently accused the Rohingya Muslims of ties with radical Islamist terror groups, like the Islamic State (IS) and al-Qaida, from which flow both money and arms. The Arakan Rohingya Salvation Army, (also known as Harakah al-Yaqin), the main Rohingya terror group, is led by a Saudi-based committee of Rohingya emigres. Let me cite Brahma Chellaney, one of the world’s foremost experts on conflict zones: “The external forces fomenting insurgent attacks in Rakhine bear considerable responsibility for the Rohingyas’ current plight. In fact, it is the links between Rohingya militants and such external forces, especially terrorist organizations like the IS, that have driven the Government of India, where some 40,000 Rohingya have settled illegally, to declare that their entry poses a serious security threat. Even Bangladesh acknowledges Rohingya militants’ external jihadi connections. “But the truth is that Myanmar’s jihadi scourge is decades old, a legacy of British colonialism. After all, it was the British who, more than a century ago, moved large numbers of Rohingya from East Bengal to work on rubber and tea plantations in then-Burma, which was administered as a province of India until 1937. “In the years before India gained independence from Britain in 1947, Rohingya militants joined the campaign to establish Pakistan as the first Islamic republic of the postcolonial era. When the British, who elevated the strategy of “divide and rule” into an art, decided to establish two separate wings of Pakistan on either side of a partitioned India, the Rohingya began attempting to drive Buddhists out of the Muslim-dominated Mayu peninsula in northern Rakhine. They wanted the Mayu peninsula to secede and be annexed by East Pakistan (which became Bangladesh in 1971). “Failure to achieve that goal led many Rohingya to take up arms in a self-declared jihad. Local mujaheddin [holy warriors] began to organize attacks on government troops and seize control of territory in northern Rakhine, establishing a state within a state. 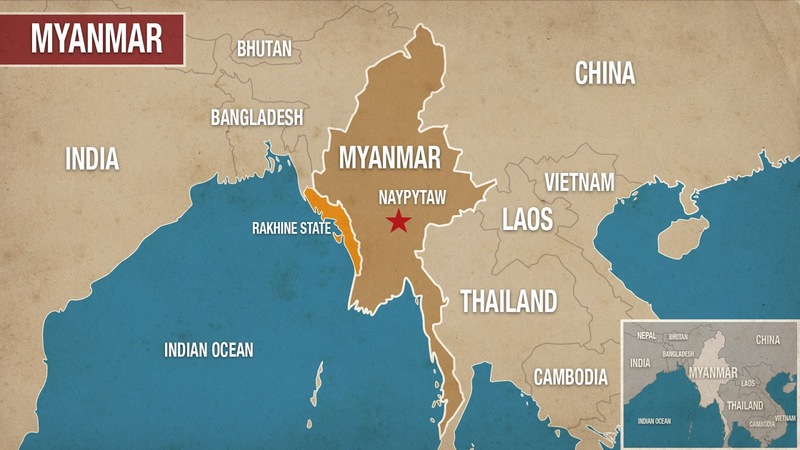 Just months after Myanmar gained independence in 1948, martial law was declared in the region; government forces regained territorial control in the early 1950s. There are two sides to this story: (1) the use of violence against the Rohingya for being ‘different’ and (2) the use of violence by the Rohingya against the other ethnic and religious groups in Myanmar. The former has attracted global attention; several organisations/nations have (a) condemned the Myanmar Government for its failure in stopping the violence (some have described the situation as ‘ethnic cleansing’) and (b) revoked the honours/awards bestowed on Aung Saan Suu Kyi, the tallest and de facto leader of Myanmar. However, the international community has turned a blind eye to the intense terrorist violence perpetrated by the Rohingya militants against Buddhists, Hindus and followers of other religions. The international community’s discriminatory attitude has only emboldened the Rohingya terrorists who know that the global spotlight is on the Myanmese military and not on their own use of violence against ‘others’. Sir why does the Rohingya community refuse to identify themselves as Benaglis?